Cool Sauna Websites, Information, Videos, Etc! Welcome to the Sauna Resources section of Sauna Marketplace, where you’ll find a curated list of the tools, information, and websites we strongly recommend. Note: we really hope that Sauna Marketplace is a useful tool for you. Please help us by sharing this website with anyone who might be buying or selling a sauna. In the meantime, enjoy the sauna resources below. You must click on the categories you’re interested in to expand them. The Wood-Burning Sauna’ Facebook Page . This is currently the most active (as of February 2019) and a great place to ask questions and talk with traditional sauna lovers. /Sauna on Reddit – A growing community of mostly younger sauna enthusiasts and DIY builders. 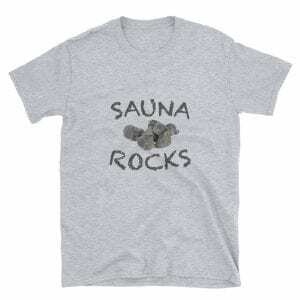 SaunaForums – A nice but inactive (as of Feb 2019) active sauna old-school forum. This article explains what Finnish sauna means for Finnish people, how they enjoy sauna and what Finnish saunas are made of. This story is about the sauna experience, sauna culture, holiness of sauna, and its contemporary function in the Finnish way of life. The next article introduces design and construction of different types of saunas in Finland. You can find Part 2 here. Sauna Digest – A new sauna blog from the creators of the Wood-burning sauna facebook page. Sauna Report is Dr. Rhonda Patrick’s report on how sauna sessions can be used to increase growth hormone, muscular hypertrophy, endurance, and otherwise aid performance. With all the junk science out there from people trying to sell you something, this is a refreshing and comprehensive review of where the science is. Here we will highlight some of the coolest sauna ideas and concepts that are helping bring sauna culture into the 21st century. Sauna Build: From Start To Finnish – If you’re planning on building an outdoor sauna from scratch, we highly recommend the ebook from Glenn at SaunaTimes. It’s well worth the $20 donation he’s asking for it. Check out out favorite videos about sauna culture! SaunaTalk: Entertaining Podcast that takes place in different saunas. Sauna Talk is a show about the authentic sauna experience. Recorded (often) on the sauna bench, we talk with interesting guests about sauna including such aspects as building sauna, enjoying sauna, and health and wellness benefits to sauna. The rising sauna tide is lifting many boats and we look forward to some left turns that we hope to keep listeners on and off the more enjoyable and less trampled authentic sauna trail. Sauna Documentary – Here’s a trailer for an upcoming documentary about backyard sauna culture in Canada. Find out more about the project here. Traditional Timber Construction: Here’s the traditional Finnish way of building a timber frame sauna out of local trees. The Sauna Marathon is less of an endurance sport, and more of a snowy winter party meant to warm the soul. It might be coming to the US next year. Theyre more than relaxing. Research shows saunas can be good for your health. Visiting a sauna several times a week can lower rates of heart disease and stroke. We’re always looking for helpful, entertaining, and interesting resources. Let us know if you have anything we should check out!